The Wireless Dual-band USB Adapter 300N X2 makes it possible to add wireless capacities to your desktop PC or notebook as well as your Media Player. The USB adapter can transmit signals on the 2.4 or less crowded 5 Ghz frequency which offers optimal wireless performances for time sensitive traffic without any audio or video interference. In combination with an “N” wireless router you can communicate at extremely high throughput speeds up to 300 Mbps and over far greater ranges. Thanks to the OPS hard button, you can establish a secure wireless connection with just the push of a button. 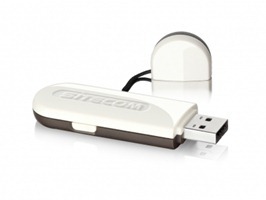 If you need latest driver, software for Sitecom WL-329/329SL USB Adapter, please refer to Ralink RT2870 generic driver.